The natural impulse for genre fans granted new material, before they’ve even enjoyed it, is to put it on the shelf. Its ability to ‘fit in’ seems so important at first but why would we want exactly what we have? What we get with these Third Doctor Adventures isn’t a lonely replay of a dusty videocassette. It’s the fresh sound of a graduate Doctor. From Peter Davison to David Tennant we’ve seen our favourite performers return in victory laps on audio that have become regular gigs. The actors don’t sound quite like they did on telly but before long the wonder of the experience takes over. Suddenly we’re not reliving the past; we’re experiencing a special sort of future. The occasional sibilant ‘s’ of Jon Pertwee’s Doctor, the easy confidence, that delightful vocal texture, they’re all there but so is Tim Treloar. 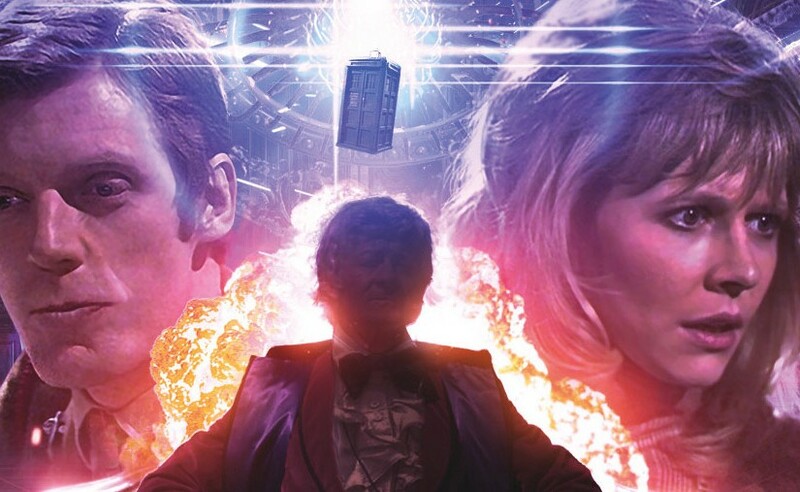 The Welsh actor has certainly taken on the southeast England style of Jon Pertwee but most importantly, he’s gone beyond the skill of the impressionist to give us a character that fits right in with the remarkable animal that is this 21st century return to the Pertwee years. Alongside are Katy Manning as Jo Grant and Richard Frankin as Mike Yates. Having been delighted with their performances as Iris Wildthyme and the retired Captain Yates, it was lovely to hear them cast their voices back a few decades into the characters that made them famous. Of course, we’re getting a graduate Classic Jo and a graduate Classic Yates but this should be no surprise (or worry) to regular listeners to Big Finish audio drama. Before long, The Doctor is disturbing the room as he upbraids a bureaucrat, Jo is making battle armour out of her faith in him and Yates is, well, getting chances to be more heroic than ever. Big Finish is generous like that. And the gap in the shelf behind me is forgotten completely. Having dropped five paragraphs on why things shouldn’t slavishly imitate our best loved Pertwee adventures, I must mention that the music is absolutely spot on. Prisoners of the Lake has the musical style of The Sea Devils but with a very welcome melodic quality and Havoc of Empires has a Dudley Simpson style with friendly tones evocative of the Third Doctor’s first serial on TV. The only true oddity is the narration sprinkled throughout the stories which might have been Big Finish treading carefully, couching Treloar as both narrator and Doctor. They needn’t have bothered but certain action sequences play quite well narrated, whereas in dialogue the characters would have had to illustrate the action for us in odd sorts of ways. Big Finish know well each era of classic Doctor Who and their output is forward-thinking, waxing creative and progressive in precisely the areas of the old series that we’d like expanded or redressed. The Third Doctor Adventures continue this trend. Roll on, Doctor Treloar!